Alex Oxlade-Chamberlain took another huge stride in his road to recovery as he returned to training alongside his teammates in Marbella on Tuesday. The midfielder is edging ever closer to his comeback having been sidelined with ruptured cruciate ligaments since last April’s Champions League semi-final first leg against Roma. 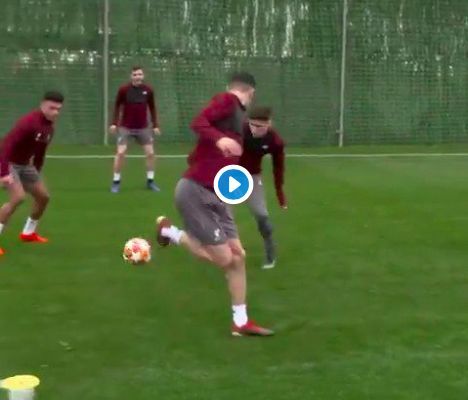 Liverpool’s second warm-weather training camp this year has staged the most meaningful teaser of his progress yet, with the Englishman looking notably sharp as part of a rondo. For him to play a part in any capacity before the end of the season would be a significant boost to Liverpool in their pursuit of the Premier League title. There is evidently a chance the former Arsenal man could be available for selection again as early as March, although Liverpool will undoubtedly continue to be cautious over his reintegration.